We live with the best tech, both on the go and back at home. When it comes to cutting the cord and improving our home theater experience, we do the research to get all of the right gear. 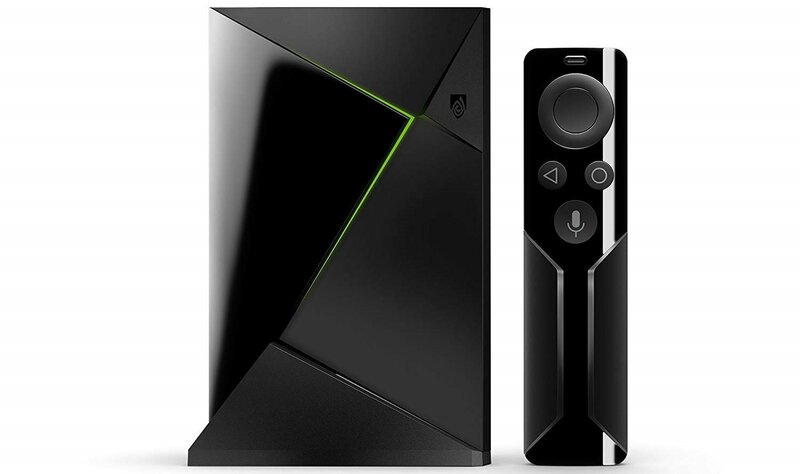 The NVIDIA Shield TV is the best Android TV box, and one of the best set-top boxes on the market today. It has amazing power, 4K HDR support, good gaming potential, a quality remote, and an excellent software track record. The NVIDIA Shield TV Pro's 500GB of storage is a must for big-time media watchers, but it's hard to find one, and when you do it's probably going to be used — and way more than a new, base model bundle. Both models offer a great set-top box experience, with 4K HDR support and tons of power to stream and game all day. So while we're really comparing just a few marginal differences in terms of hardware specs, availability and price are going to be the two biggest factors to consider. 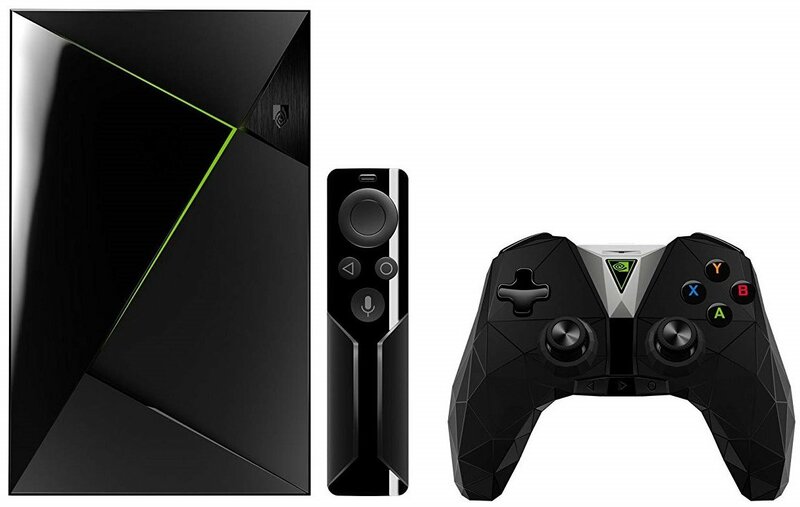 The Shield TV Pro is out of stock and only available through resellers with high markups, whereas NVIDIA continues to push the base model Shield TV with gaming and smart home bundles available for under $200. With that said, let's get into the details. On the face of it, there's one big choice: can you get by with 16GB of internal storage in the base model, or do you need the breathing room of a 500GB hard drive? The Shield TV Pro's 500GB storage will give you tons of room to install as many games and store as much media as just about anyone would want. More storage sounds appealing, but it's not necessary — and you can always add more later. With NVIDIA's streaming game solutions GeForce Now and GameStream there are fewer games to be properly "installed" than before, and most popular media services are streaming-only. But if you plan to load local media or use the Shield Android TV as a Kodi or Plex device you'll probably want the Pro's extra storage. But also remember that you can add storage to the Shield TV via basically any USB drive — whether it's a flash drive or spinning drive — and have it integrate right into the system. That starts to eat into the $100+ you saved by going with the standard model, but it is an option if you already have a high-quality USB 3.0 flash drive hanging around you can dedicate to the system. Because the Shield TV Pro is still based on the original hardware design, it retains a few of the features that were lost when the standard model moved to a smaller body. That means the Pro retains the microSD card slot for expanding its storage and Micro-USB port a direct connection to your computer. Chance are you have no need for the microSD expansion or IR receiver. Both features are nice to have, but not essential. You already have 500GB inside the box and can extend it further with any USB storage device, and NVIDIA has enabled PC connections via one of the USB-A ports on the new box. One slightly bigger deal is the inclusion of an IR receiver on the Shield Pro, meaning it can be easily controlled by popular universal remotes that use IR for multi-device management. If you already use something like a Logitech Harmony for your entertainment center, this may be a make-or-break situation. Don't count out the chance that universal remote makers like Logitech can update or release Bluetooth versions of the remotes that would work just fine with the standard Shield TV, though. All Shield TVs work with the great Shield Controller, but the base Shield TV no longer comes with it in the box — you have to pay $20 extra for a different Shield TV bundle. If you need the controller, making that jump now puts you closer to the Shield TV Pro, which includes a controller in the $299 price. Private listening via the remote's headphone jack is a very nice feature to have. Controllers aside, NVIDIA has decided to ship different versions of the TV-style remote depending on which version of the box you buy. The standard Shield TV comes with a new design, which drops the headphone jack and rechargeable battery in exchange for year-long (or more) battery life from a pair of coin cell batteries. The Shield TV Pro still comes with the original remote — offering rechargeable batteries (via included Micro-USB cable) and a headphone jack for private listening. You can get private listening over Bluetooth on either box, but the headphone jack is nice to have — the downside is remembering to charge the remote every few days, which is a hassle. The best balance of price and features. The Shield TV is the best pick for most people given its great capabilities and features at an affordable $179 price. The only decision is whether to get it with a game controller or not. A tough sell at this price. The Shield TV Pro is clearly a better overall product with more storage, an extra expansion option, and an included controller. But it's also harder to come by now that it's out of production — and will easily cost you hundreds more than a base model Shield TV bundled with the gaming controller or smart home hub.